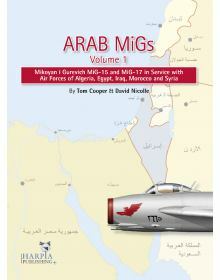 African MiGs Vol. 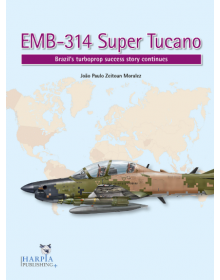 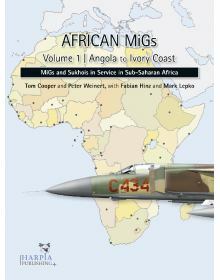 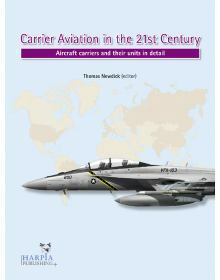 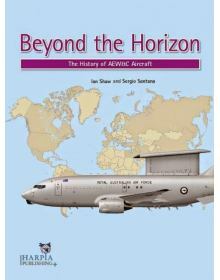 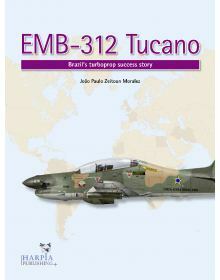 1: Angola to Ivory Coast - MiGs and Sukhois in Service in Sub-Saharan Africa This ..
African MiGs Vol. 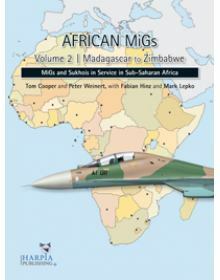 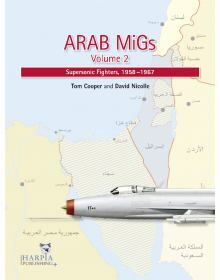 2: Madagascar to Zimbabwe - MiGs and Sukhois in Service in Sub-Saharan AfricaCompl..
MiG-15 and MiG-17 in Service with Air Forces of Algeria, Egypt, Iraq and Syria, 1955 - 1967.Starting..
Arab MiGs Volume 2 - Supersonic Fighters: 1958–1967.Largely based on original, previously unavailabl..
ARAB MIGs VOLUME 3: The 1967 War. 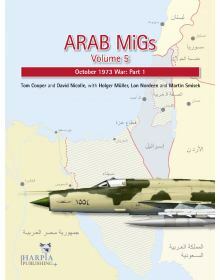 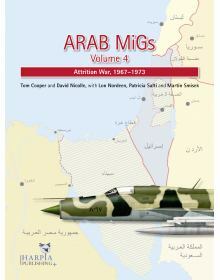 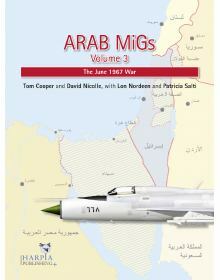 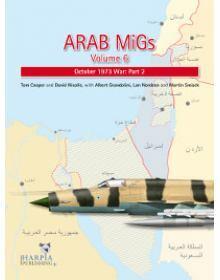 The June 1967 War fought between an Arab alliance and Israel was a..
ARAB MIGs VOLUME 4: Attrition War 1967-1973.Volume 4 in Harpia Publishing's highly successful Arab M..
ARAB MIGs VOLUME 5: October 1973 War - Part 1.On 6 October 1973, the Egyptian and Syrian air arms la..
ARAB MIGs VOLUME 6: October 1973 War - Part 2.Arab MiGs Volume 6 continues Harpia Publishingʼs..
EMB-314 SUPER TUCANO - Brazil's turboprop success story continues.Robust to the point of supporting .. 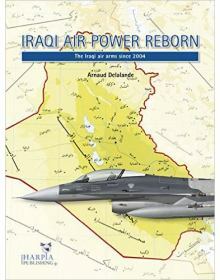 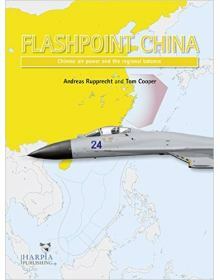 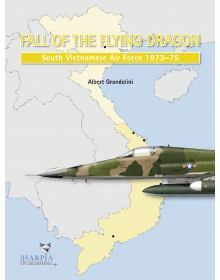 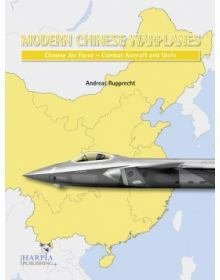 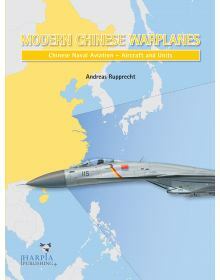 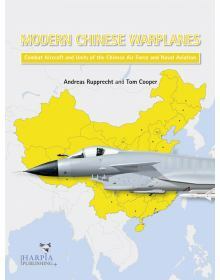 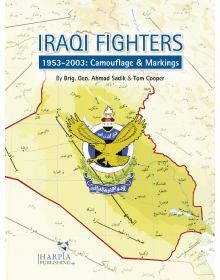 Compiled with extensive help from previously unavailable documents that have emerged from offi..
FLASHPOINT CHINA: Chinese Airpower and Regional Security.From the South China Sea to the mountains o..
IRAQI AIR POWER REBORN: The Iraqi Air Arms since 2004.Iraqi Air Power Reborn provides the most autho.. 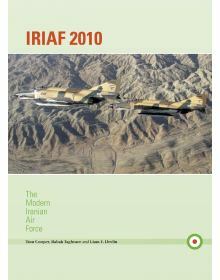 This book provides an exclusive insight into service history of 13 fighter jet types - from Vampires..
IRIAF 2010: THE MODERN IRANIAN AIR FORCE. 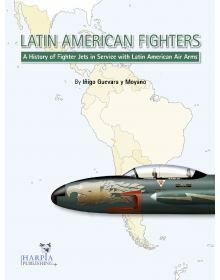 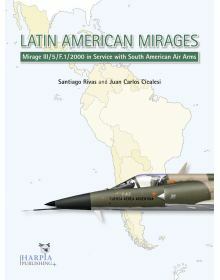 This richly illustrated book describes the current organis..
Latin American Fighters - A History of Fighter Jets in Service with Latin American Air Arms This boo..
Latin American Mirages: Mirage III / 5 / F.1 / 2000 in Service with South American Air Forces.For mo..
MODERN CHINESE WARPLANES - CHINESE AIR FORCE: Aircraft and Units.In 2012 the original Modern Chinese..
CHINESE NAVAL AVIATION - Aircraft and Units.Due to China's strong dependence/reliance on its economi..
Modern Chinese Warplanes - Combat Aircraft and Units of the Chinese Air Force and Naval Aviation. 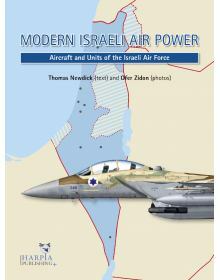 Mu..
MODERN ISRAELI AIR POWER - AIRCRAFT AND UNITS OF THE ISRAELI AIR FORCE.Israel remains the cornerston..
RUSSIA'S AIR-LAUNCHED WEAPONS: Russian-made Aircraft Ordnance Today.Following on from Harpia Publish..
RUSSIA'S WARPLANES, VOLUME 1: Russian-made Military Aircraft and Helicopters Today.Harpia Publishing..
ΠΡΟΣΩΡΙΝΑ ΕΞΑΝΤΛΗΜΕΝΟ. 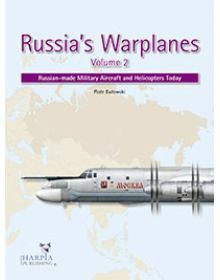 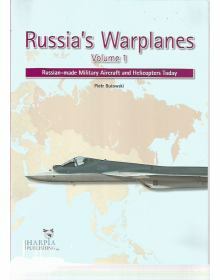 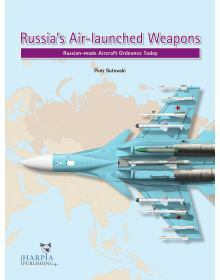 Αναμένεται σύντομα, νέα παραλαβή.RUSSIA'S WARPLANES, VOLUME 2: Russian-made M.. 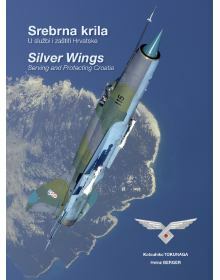 This top quality photo monograph features in six chapters the activities of the today's Croatian Air..